In many places, May has given way to a surplus of strawberries cluttering the produce aisle. These sweet berries are great in a wide variety of delicious baked goods, from pies to cakes and everything in between. 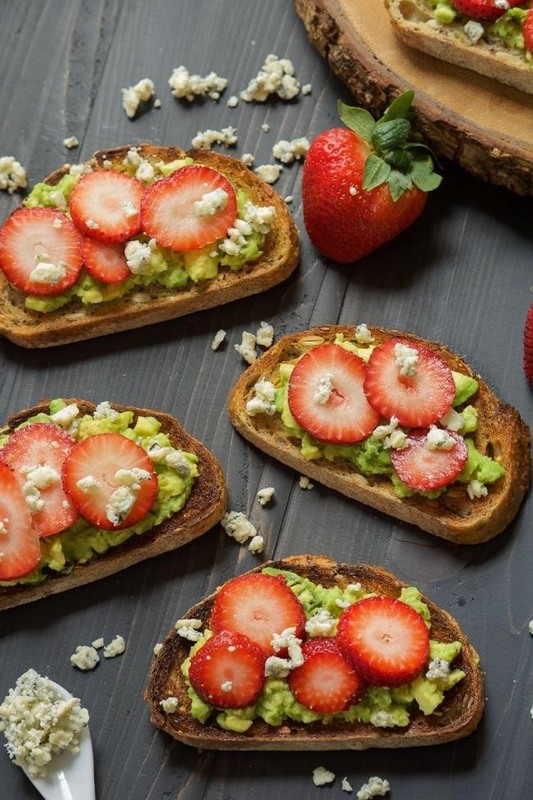 But it's easy to get weary of the nonstop dessert train... so we've rounded up 9 inspirational savory strawberry ideas to ignite your creativity and take advantage of the strawberry surplus. 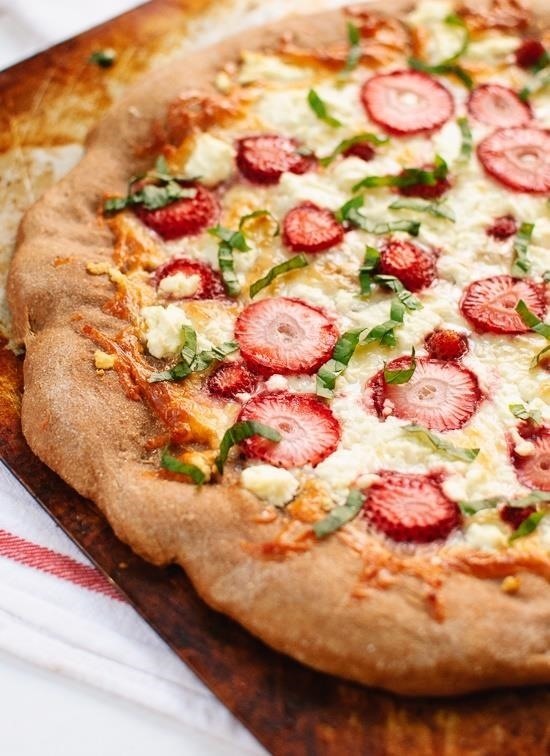 Like Kate, the creator of this pizza states, strawberries (or any kind of fruit) on pizza may at first seem like a funny topping. But tomatoes are fruits as well—and they're an integral part of many pizza recipes! Strawberries, just like tomatoes, are also fantastic at complimenting mild cheeses such as mozzarella or goat cheese. Add a bit of basil and a drizzle of balsamic, and you're bound to melt into cheesy oblivion. 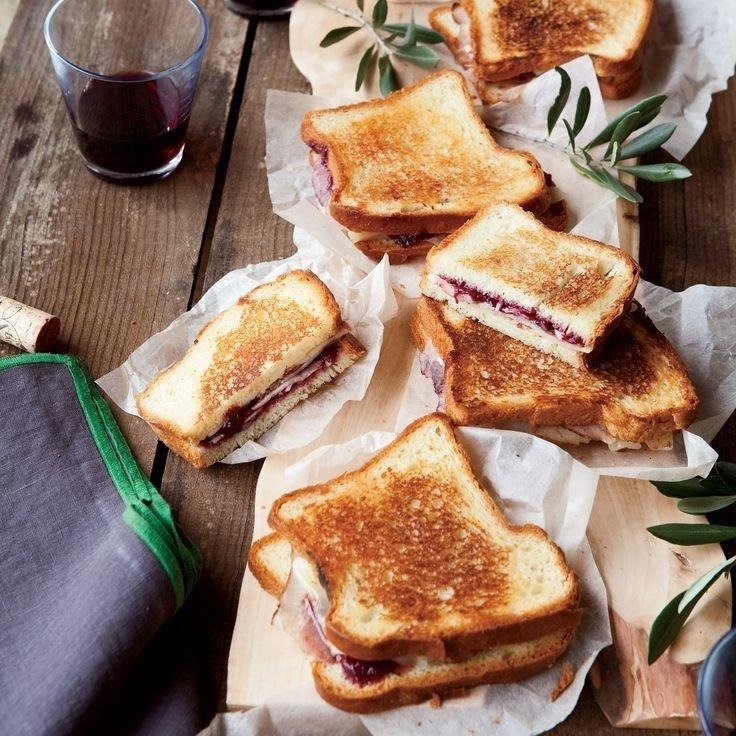 The epic secret to these grilled ham and cheese sandwiches is that they're—wait for it—spiked with a Strawberry and Pinot Noir jam. 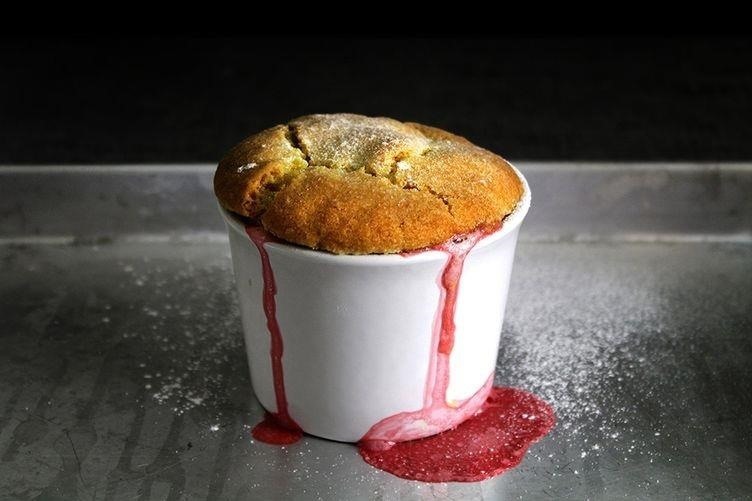 Chef Chris Kronner says he got the idea for the creation while testing jam recipes and simultaneously drinking red wine. If that's not a cause to celebrate and make these savory sandwiches, we don't know what is. Take your Triscuit game to the next level with these strawberry ricotta bites. 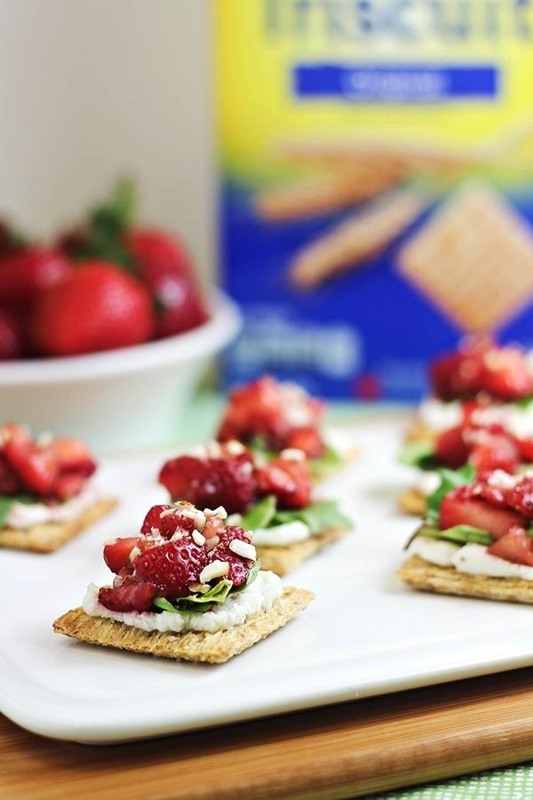 To assemble, top the Triscuit with a spread of ricotta, greens of your choice, and a spoonful of chopped strawberries. Sprinkle them with finely-chopped almonds for extra texture and nutty flavor. We also like to add a drizzle of balsamic vinegar on top. Gazpacho has long been one of our favorite dishes in the warmer months: This summer soup is cool, crisp and refreshing. 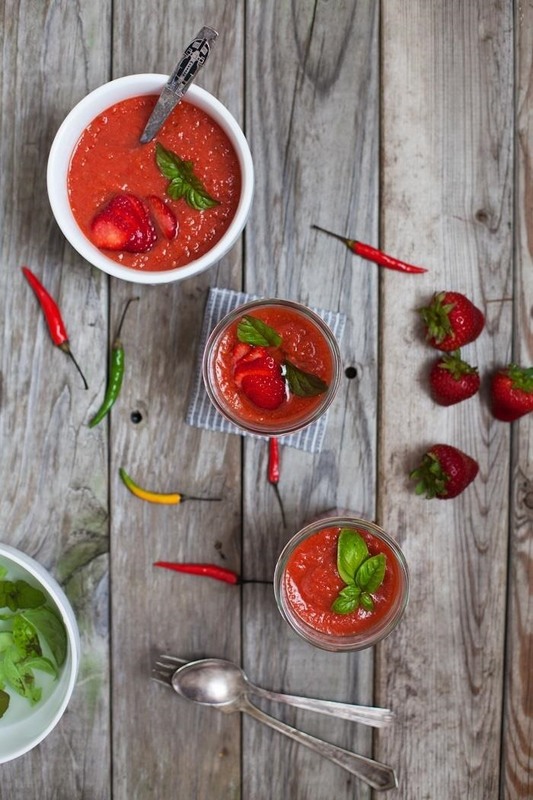 We started experimenting a while back with dishes like watermelon gazpacho and cantaloupe gazpacho, but our hearts truly soared when we stumbled upon this sweet and spicy strawberry gazpacho. 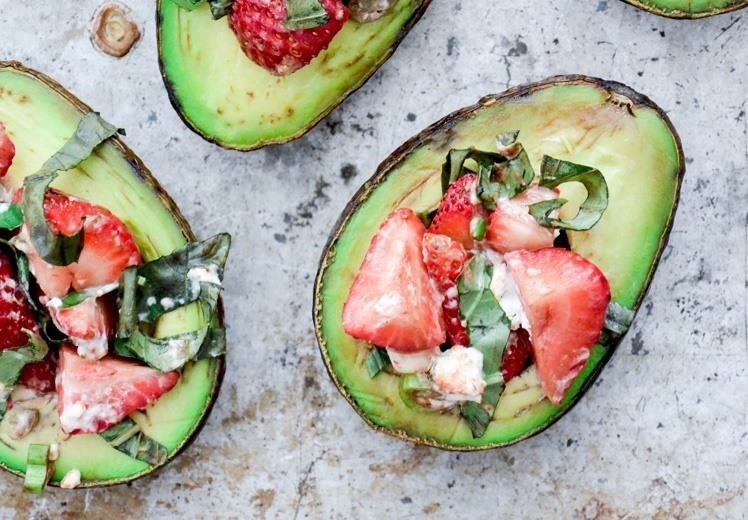 There's a chance you've yet to try a baked avocado; there's an even larger chance you've yet to try a baked avocado with strawberry salsa. Pair these delectable dish alongside a spicy margarita, and we guarantee heavenly bliss. Avocado toast with a sprinkle of sea salt and black pepper is one of our all-time favorite snacks. And when sprinkled with blue cheese and topped with sliced strawberries, as seen on With Salt and Wit, it's hard to imagine a more satisfying (and beautiful) treat. Focaccia is the perfect appetizer to serve with an Italian-themed meal. 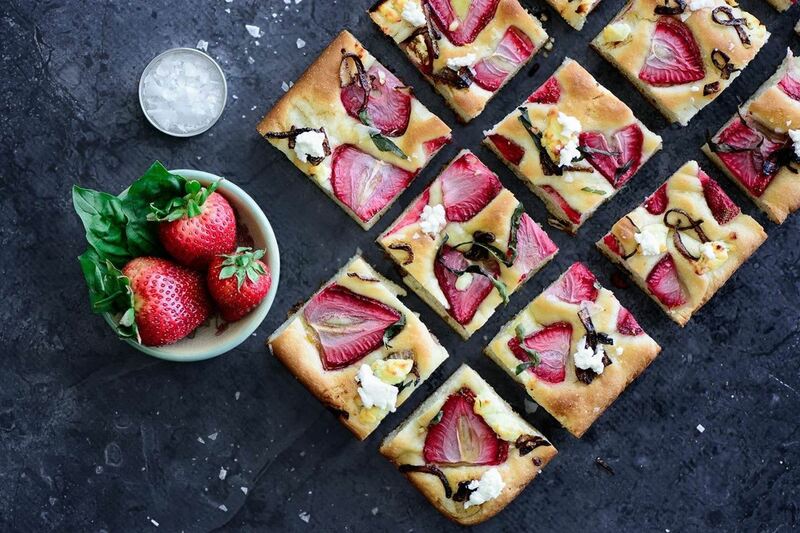 But this strawberry focaccia is in a category all its own: loaded with flavors of basil, honey, red onion, balsamic vinegar, and creamy goat cheese that perfectly compliments the strawberry slices. The textures and flavors of asparagus and strawberries, when paired in a salad, are simple yet extraordinary. 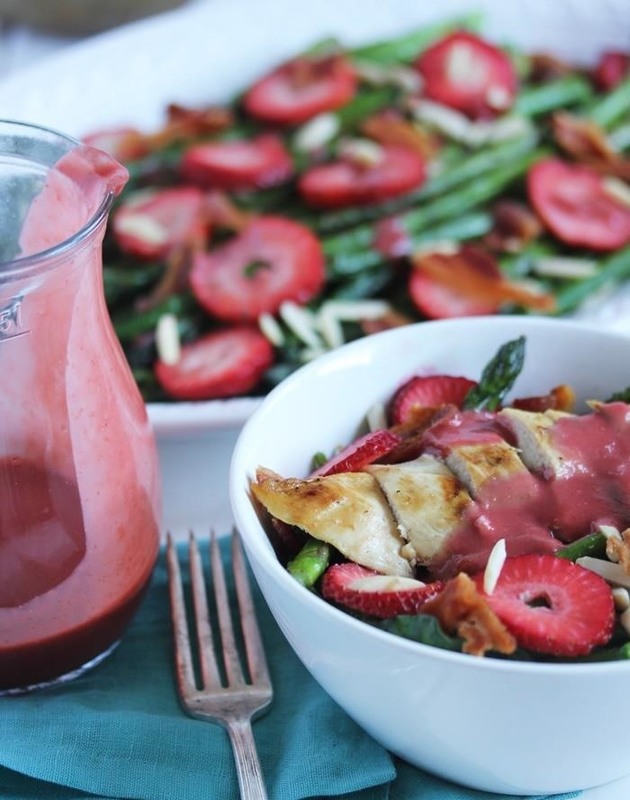 Blogger Lexi of Lexi's Clean Kitchen adds bacon, almonds, and grilled chicken breast to this salad and tops it all with a strawberry vinaigrette. 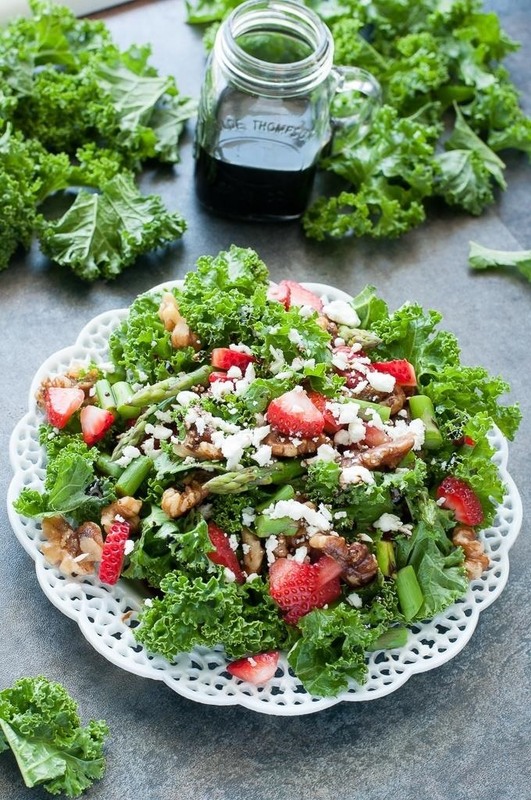 And then there's this strawberry kale salad from Jenn of Peas and Crayons, complete with crumbled feta, candied walnuts, and… strawberry-infused balsamic! It's light, sweet, juicy, crunchy, creamy, and just downright wonderful. This might not exactly be savory, but the idea is so unique, we think it deserves a place on this list. The connotation with a pot pie seems to be one thing: chicken. But swap that chicken for a warm and creamy strawberry filling with a sugar cookie lid pot pie and we may never return to its poultry counterpart. With these unique ideas now at your disposal, take your strawberry consumption past the jams and fruit salads and fully realize their potential as a part of your meal—and not just the sweet afterthought. Have any other unique strawberry recipes you'd like to share? Let us know in the comments below!